It’s good to realize how small children naturally recognize sound and experiment with their own voices. While these first vocal attempts are imperfect from our point of view, it doesn’t prevent the little ones to express themselves vocally. These experimentations with their voices need support from a good singing model, either from the family or a singing lessons Singapore teacher, otherwise their singing won’t develop. 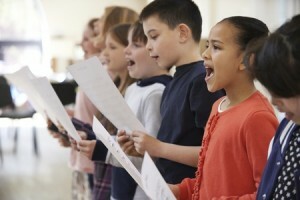 Other than not having a good model, there are a few more reasons why some children experience difficulties with singing. Although some of these are inevitable, one thing is for sure: singing can be learned through proper guidance and vocal lessons. Decades ago, singing was a significant part of people’s day-to-day lives—for instance, mothers put their children to sleep by singing lullabies. However, today, the need for music has been transformed into the acceptance of ‘reproduced’ music. Mothers’ lullabies have been replaced by music from mp3s, radios, stereos, and other sound reproducing technologies. Moreover, the busy life we have today often causes parents not supporting their kids’ singing attempts. Some even prevent their children from singing. This can cause the child to lose his natural singing ability, since the muscles for vocal formation will weaken and lose their efficiency over time. Not everyone knows that good physical condition is a requirement in the proper formation of the voice. This is perceived in the same way that athletes cannot be competitive enough when their bodies aren’t trained. The sedentary lifestyle of the majority of adults in this generation could mean that even their children have the same way of life. This situation is even more dominant with city children who, due to the lack of activities, spend long hours at their computers or phones after getting home from school. 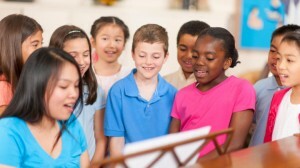 An alternative to such a lifestyle is to allow children in Singapore to enjoy fun singing lesson so that they can engage in an alternative activity. Vital muscles in the body aren’t trained and in many cases may affect the body posture—for instance, slouching may cause the chest to curve and in turn prevents proper breathing. In general, when the body isn’t functioning the way it’s supposed to be, the voice cannot function correctly either. Today, active music making is often replaced by passive listening. So instead of encouraging active singing, we force children to listen to performances of our contemporary singing idols. This doesn’t only lead to deterioration of good musical taste, but can also lead to possibly permanent damage to the function of the vocal cords. This generation’s singing role models, which are mostly made famous by the celebrity culture, are based on harsh vocal onsets. This advanced level of singing disrupts natural development of children’s voices and can cause damage to their vocal cords. The person who trains your child greatly matters in the development of his vocals. When enrolling your child in singing lessons Singapore, make sure that the trainer is a qualified vocal teacher. There are some teachers who cannot sing well and do not even have the aspiration to teach or at least help children appreciate singing with their natural voice. Out of ignorance, teachers who cannot sing well themselves could be allowing their pupils to create sounds in an improper manner, while those teachers who lack knowledge about natural singing could be forcing children’s vocals beyond their limits, resulting to vocal damage. Vocal defects may appear as early as the child’s elementary years. The damage is often caused by incorrect tone development and incorrect use of the voice. Aspirated tone, which is a vocal tone with unregulated breath mixed in, is considered as the most common vocal fault that’s usually a result of forced singing. The tension prevents the vocal cord from working the way it’s supposed to be and leads to incomplete cycle of producing sound. This commonly occurs during stage presentations, when the child feels shy, nervous, or is experiencing stage fright. For timid children, this feeling should subside over the years as they get used to the exposure. Another reason of sudden off-key is when a child mimics a certain tone. For this, the child’s only option is to work harder on singing with the natural voice. The teacher should be able to motivate the child to make full use of his natural voice and be confident with it. Nodules can occur through excessive shouting, which usually happen when children are playing in the playground or singing in a choir with poor vocal instructions. Surgery isn’t always necessary to get rid of nodules. If detected earlier, nodules can be removed through proper vocal exercises. These are a fairly common vocal problem. When the child’s voice sound like it’s affected by a cold, this is likely because of an enlarged adenoid. No need to worry as removal of adenoid is only a minor procedure. Incorrect pronunciation of vowels, sharp and dull pronunciation of sibilants, and other pronunciation problems can be eliminated with speech therapy. Singing is a talent that can be learned. Although every child is born differently—some are born more musically inclined while others are not—singing is a talent that can be improved through singing lessons. With the guidance of the right Singapore vocal trainer, it’s not impossible for your little one to be the next singing idol of his or her generation.